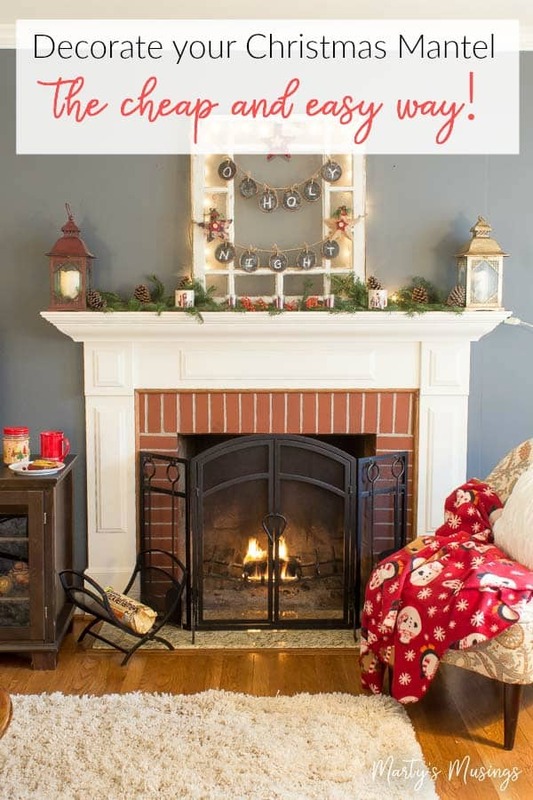 How to Decorate a Christmas Mantel the Cheap Way! 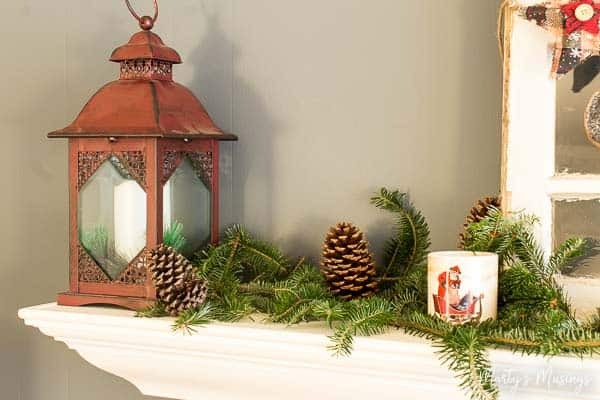 Disclosure: The post How to Decorate a Christmas Mantel the Cheap Way was sponsored by Duraflame® but all opinions are my own. 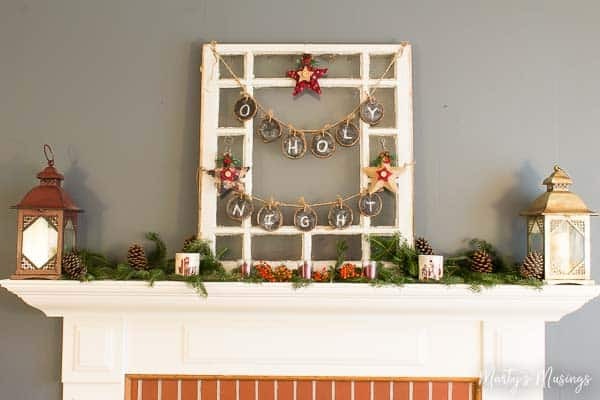 Anyone can learn how to decorate a Christmas mantel the cheap way with these 5 amazing tips! 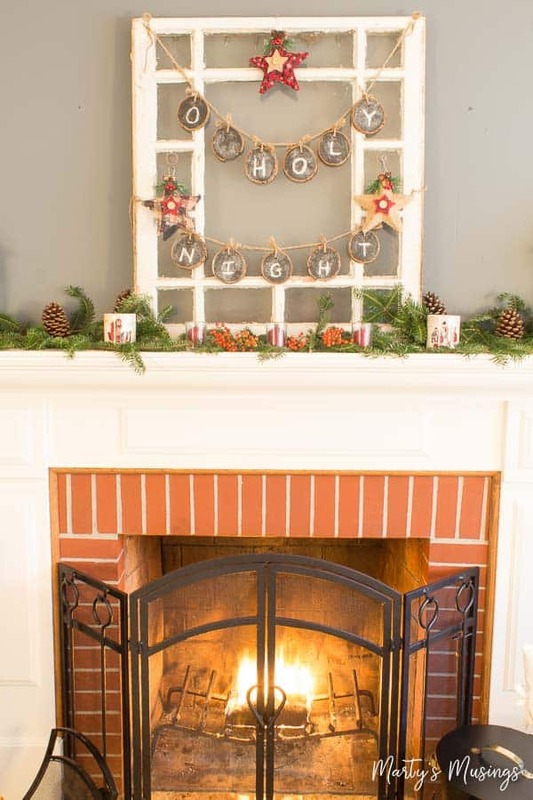 No more wasted time or money and your mantel will be stunning! 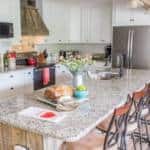 Even if you design your home from scratch, no home is perfect. Our lives change, families evolve and our homes need to change with us. 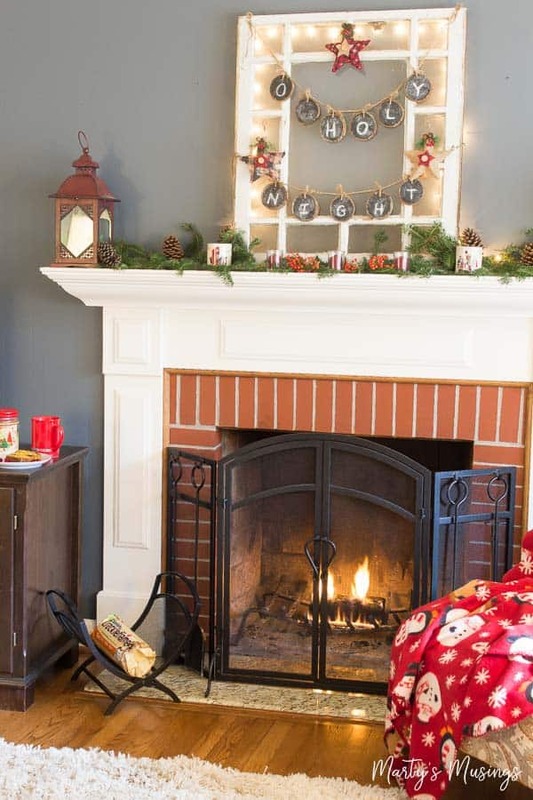 My DIY hubby and I love the ranch style home we’ve lived in for 25 years, but one thing it’s missing is a fireplace. 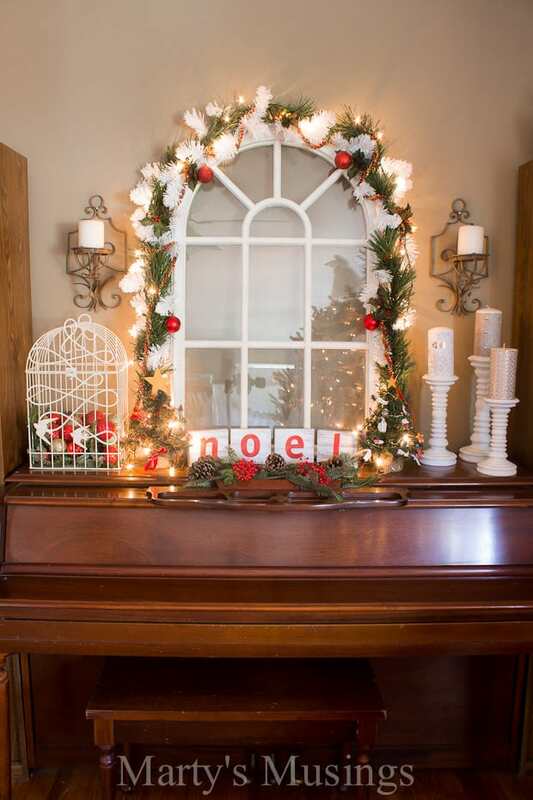 For years I’ve been decorating my pretend mantel, which is actually just the top of our piano. It’s the only place I always change up for the seasons. Recently Duraflame® reached out for help in spreading the word about their amazing products and I knew exactly what to do. 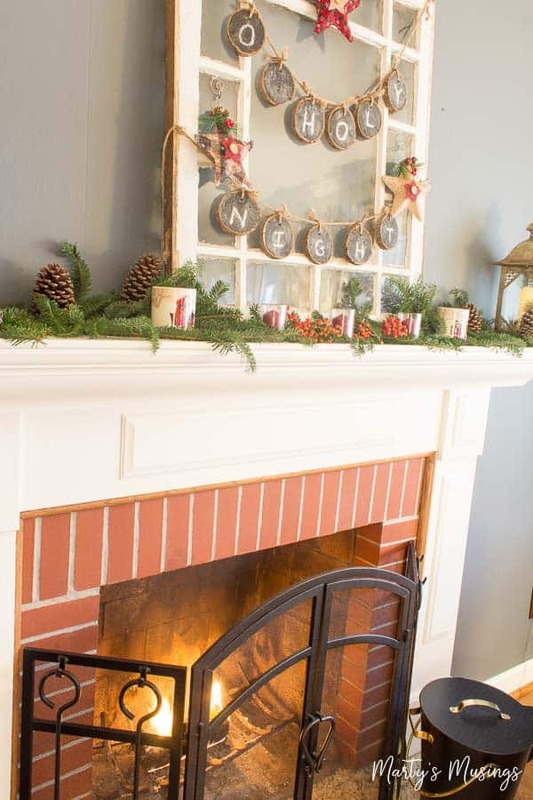 Finally, I had reason to search for a real life mantel to decorate! I have dear friends that are allowing me to “kidnap” their mantel and add my special decorating touch to their home. 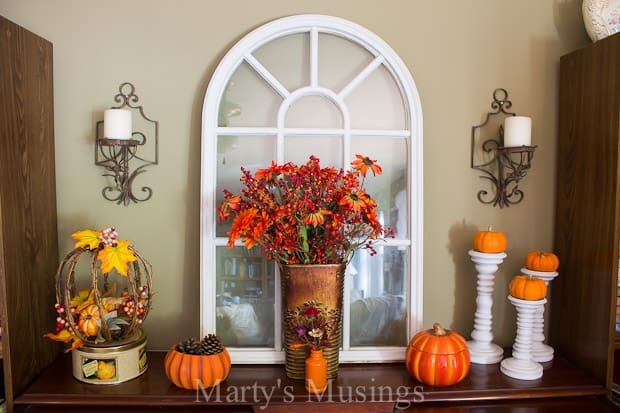 Now I can finally say I have a mantel……..at least for one day each month! I need to make a confession first, though. I’ve never built a fire before. Tim chops our wood and builds the fires in our fire pit. When my new friends at Duraflame said I actually had to build a fire and not just take pretty pictures I might have had a slight panic attack. Then I checked the Girl Scout manual and forged ahead. 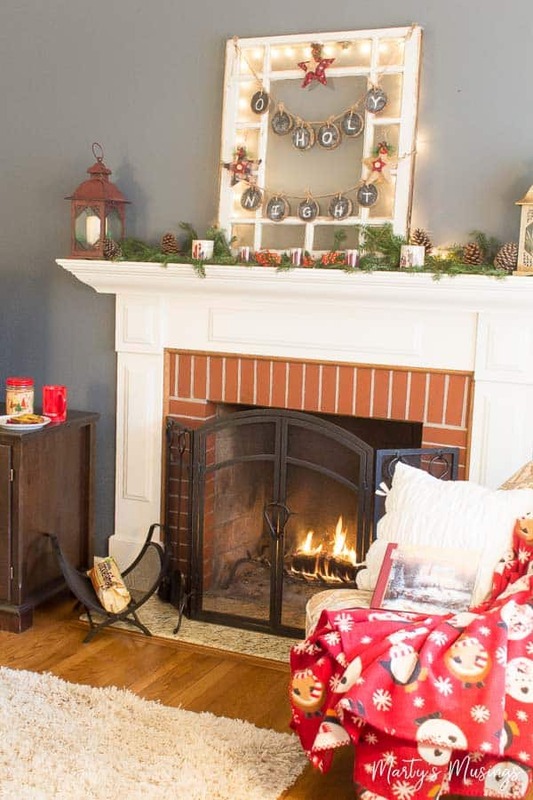 Duraflame® firelogs create the perfect ambiance for my Christmas mantel. They also come complete with instructions on the package. Yes, I read the directions first, which obviously meant I was a Girl Scout (men and directions and all that nonsense!) Don’t Girl Scouts always come prepared or something like that? Anyhoo, I used the Crackle flame log and literally set it in the grate and lit it. Done. Instant crackling sounds and mesmerizing, dancing flames. These logs rock, y’all! 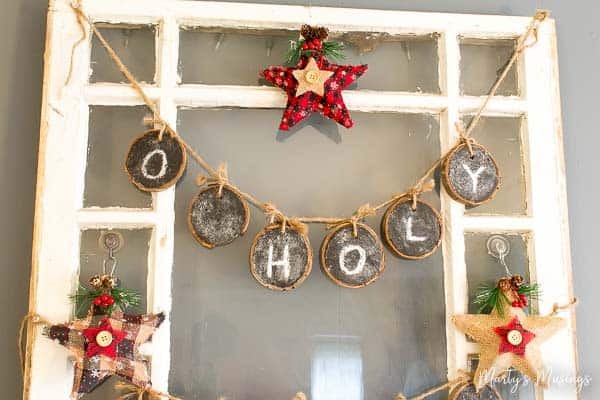 I’ll be telling you more about them in the months to come but for now, on to those tips on how to decorate a Christmas mantel the cheap way! 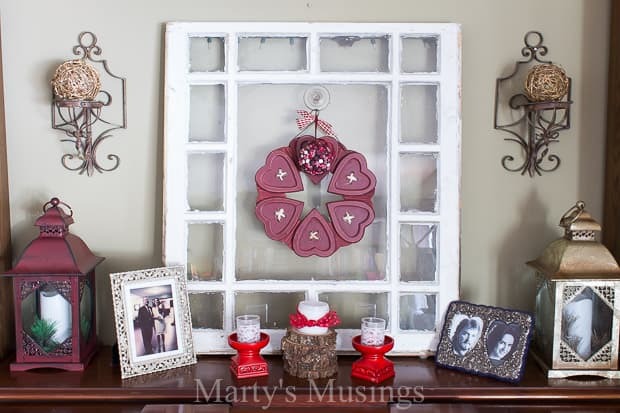 I love to use old windows as a focal point for my mantels. They’re usually easy to find and the more distressed and banged up, the more character is added. 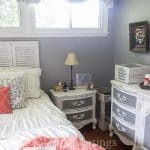 Other suggestions would be a large picture frame, floral arrangement or piece of artwork. 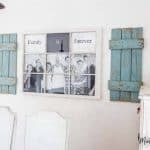 I chose to modify the chalkboard banner I made from wood slices to go above my Christmas village and instead use it to accent the window. 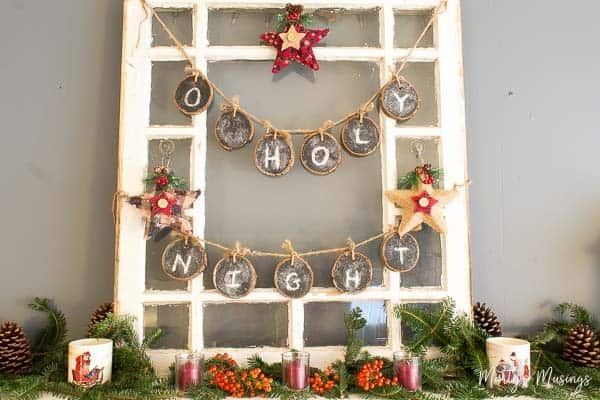 I love how it looks on the window, but you could easily make a simple one out of cardstock or buy one at the dollar store. (Here’s one I found on Amazon.) You could also drape it from the mantel itself. 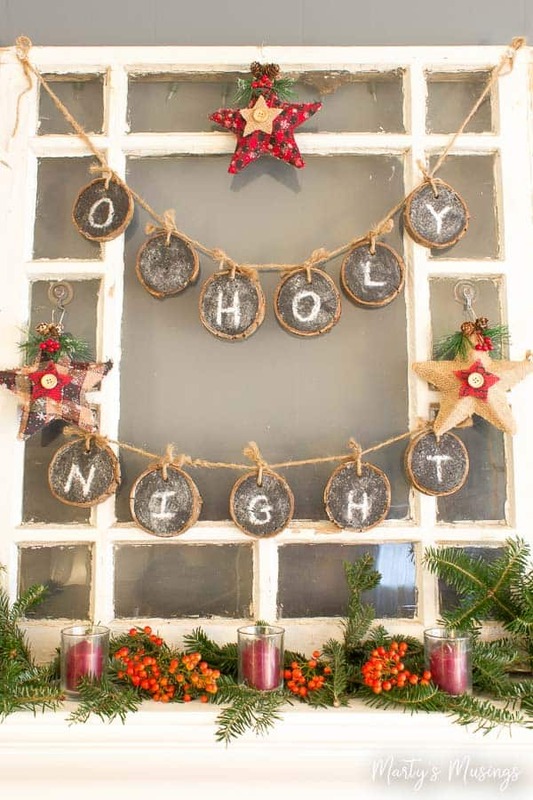 My favorite cheap Christmas decor comes from the beauty of nature around us. Since we get a fresh Christmas tree each year I always ask at the lot for extra branches to take home. Once I get home I merely trim and use in spots all over my home. 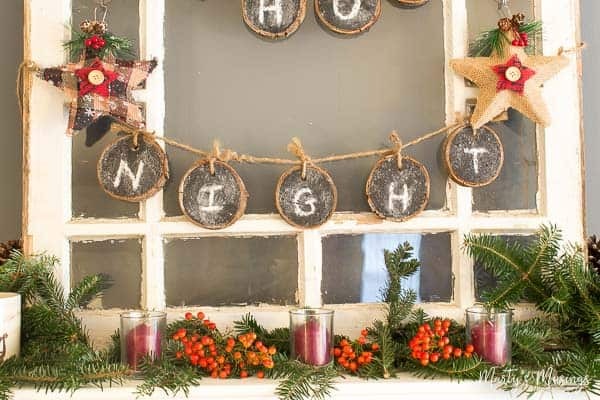 I’ll add berries and pinecones and have the perfect FREE decorations. Have you walked around your neighborhood or park lately? 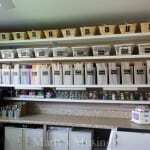 What kinds of things are available for you to use in your home? Last year I asked my neighborhood Facebook group for suggestions so I didn’t go stomping around in stranger’s yards. The two larger candles in the arrangement were yard sale goodies and the others were inexpensive glass ones with votive candles insides. 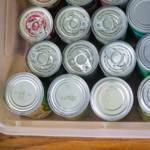 You can also pick up these items with weekly coupons at craft stores, at dollar stores. 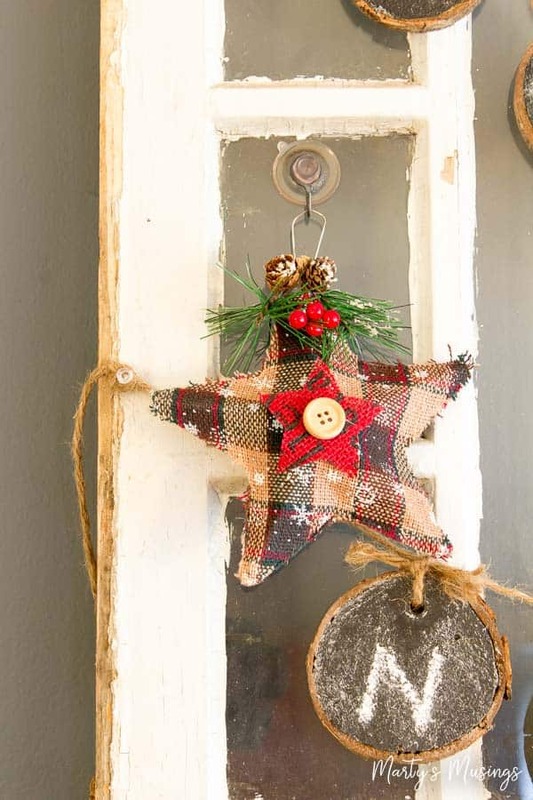 What is your favorite cheap decorating trick for Christmas? You can let me know in the comments below. 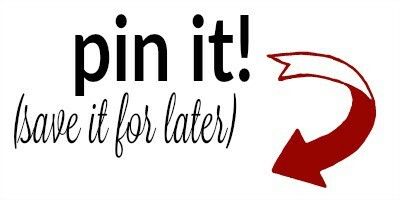 If you were inspired by this post I’d love if you’d share it with your friends! Very pretty! 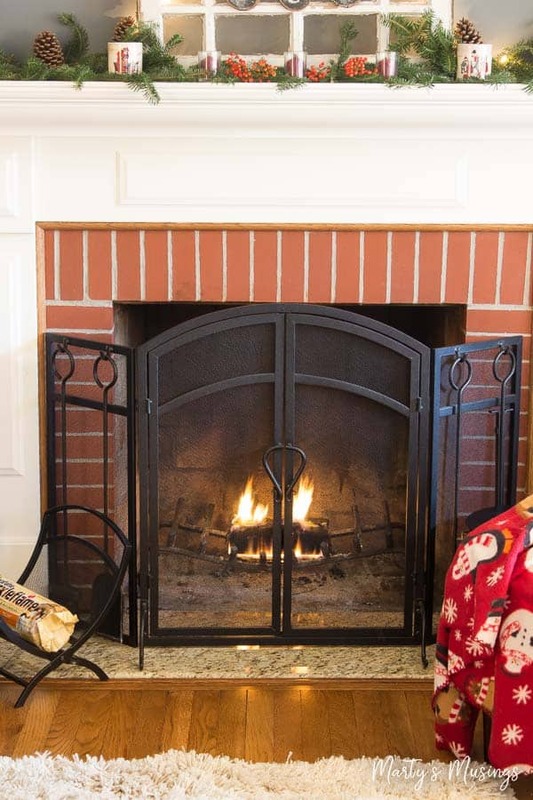 There’s nothing quite like a crackling fire in a hearth. Thanks, Kim! If only we had our own……but then I can always enjoy watching your decorate yours! Looks beautiful, Marty !!! I finally got inspired and pulled out a lot of my Christmas treasures. I even created a “Christmas Room” for our nearly 2 year old granddaughter ( bday Dec. 22nd ) in her Daddy’s former bedroom.. using pieces from some of our village displays, tiny wooden nativity, and some of his old toys to decorate. 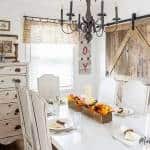 The whole space is fun and completely “hands on”…was the best thing we could have done…next to our day trip to the Amana Colonies here in Iowa just as we were getting the first flakes of a lovely snowfall. Thanks for your encouragement !!!! Hi, Rochelle. So good to hear form you! I love what you’ve done with your Christmas village and the ways your using your home to fit your lifestyle. Ours is still definitely kid friendly because I keep Aiden one day a week. Our grandkids are turning 2! Time flies, doesn’t it? Thanks so much for continuing to follow my adventures. I love your encouragement as well!